We have released and open-sourced Androsig, a JEB plugin that can be used to sign and match library code for Android applications. That plugin was written by our summer intern, Ruoxiao Wang. The purpose of the plugin is to help deobfuscate lightly-obfuscated applications that perform name mangling and hierarchy flattening (such as Proguard and other common Java and Dalvik protectors). 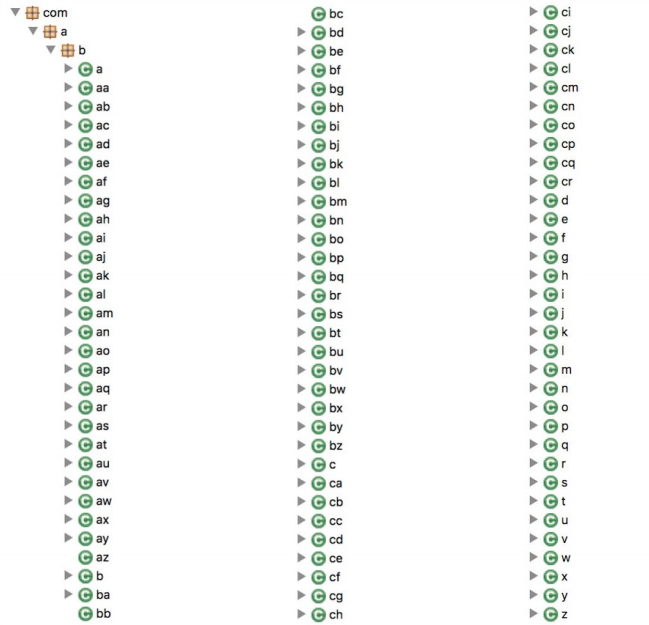 Using our generic collection of signatures for common libraries, library code can be recognized; methods and classes can be renamed; package hierarchies can be rebuilt. First, download the latest version of the compiled binary JebAndroidSigPlugin-x.y.z.jar and drop it into the JEB coreplugins/ folder. You will need a JEB Pro license for the plugin to operate. 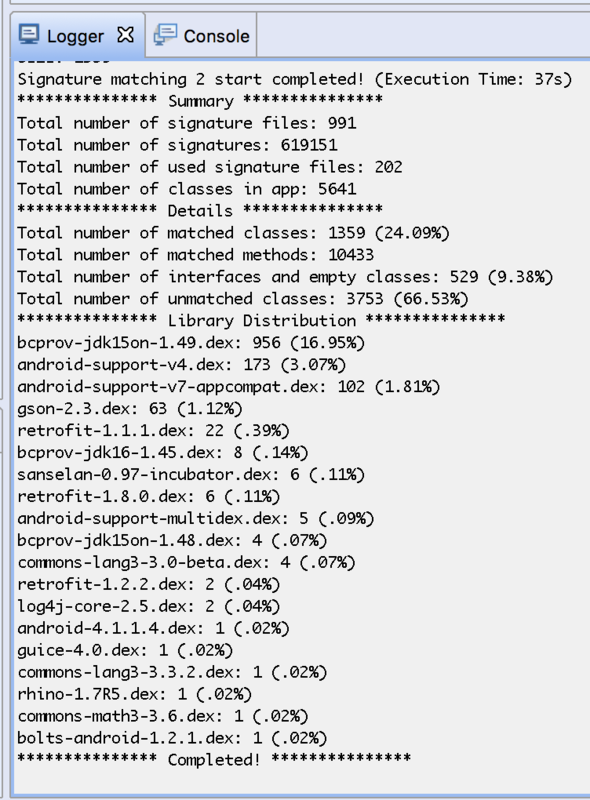 Secondly, download a bundle of signatures for various versions of the most common Android library. Link to signatures library archive. Extract the contents of the archive into the coreplugins/android_sigs/ folder. Press OK. The code will be analyzed, and methods and classes that match signatures present in the database will be renamed and refactored. Generating your own library signatures (for library code, analyzed malware, or else) is as easy as its matching counterpart. Upon successful execution, the matching plugin will generate two files in the temporary folder: androsig-mapping.txt and androsig-report.txt. Typically, false positives happen on either small methods or classes containing lots of unmatched methods. Experiment with those parameters if need be; as said, the defaults generally yield correct results. Also feel free to customize the plugin if need be, or use it as a learning tool and tutorial in order to bootstrap your own plugins development needs. 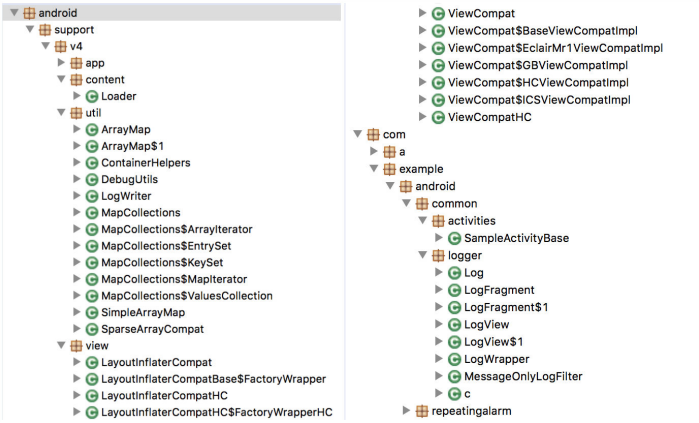 It is by no means a robust plugin, but should help reverse engineers focus on code that matters (that is, non-library code) in the case of many Android applications. I’d would purchase JEB in a heartbeat if you had a personal lic for ~100$. Unfortunetly its ways to expensive so I will stick with jadx. I have bussiness license. 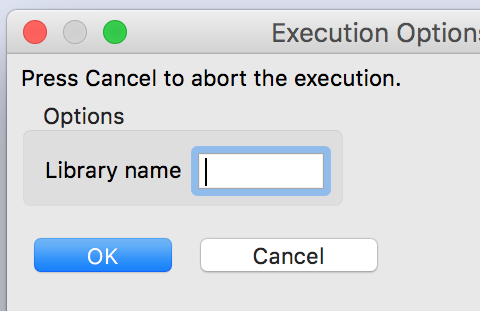 I followed the instructions but when I check File->Engines->Execute menu it is empty. I also is same, can someone to solve this problem?